It's been a while since I last updated this blog, but anyway I'm going to go ahead and start this tutorial because it might be a little long. I'm going to try to explain it as much as possible. Let's begin. 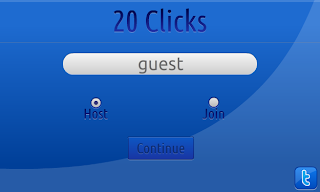 In this tutorial, we will only be using ActionScript 2.0 coding on the client side. No extensions will be used in this tutorial (which is why the coding isn't the best). 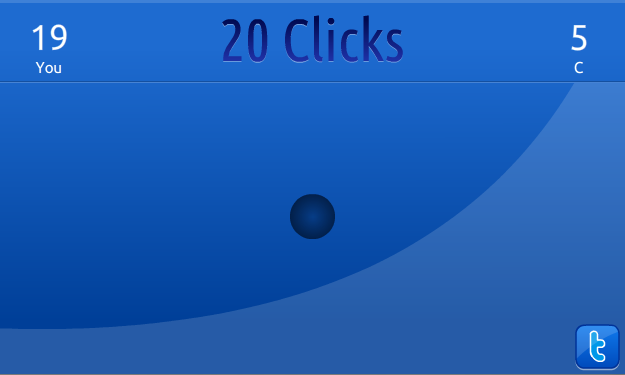 The main goal of this tutorial will be to create a two-player game in which the players will compete to click a button faster than the opponent. 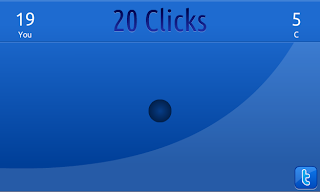 As a simple name for the game, I named it "20 Clicks." The name should be self-explanatory really. So, to begin this game, create a new Flash ActionScript 2.0 document. Any other little details you would like to add. Please excuse the bad quality, I resized a few things and it turned out to not look it's best and I didn't want to recreate it since this is just a quick example for you to look at, and possibly make it better. Now, I would like to point out a few things in the coding. On line 12, you will have to substitute the ip address 127.0.0.1 with your own server's ip address, unless you are testing the game locally. The application does not tell the user if the server is connected, it just tells the user if the server cannot connect. - I am pointing this out because if you test this with your server off, it will be about 5 - 15 seconds before you really know whether or not the server has connected. You can implement this into the game yourself if you want. Now that we have the first frame coded, I will explain the coding, line by line. Each line of explanation corresponds to each line of the coding above. Line 1 - Imports the SmartFoxServer API. Line 3 - Makes sure the movie stops on frame 1 and doesn't continue to play through all the frames. Line 5 - Sets the gameType variable to the default, "Host". Line 7 and 8 - Sets the chosenMC x and y positions on the stage in the same place the hostBtn resides. Line 10 - Creates a new SmartFoxServer instance. Line 11 - Turns the SmartFoxServer debugging on. Line 12 - Connects to server 127.0.0.1 on port 9339. Change 127.0.0.1 to your server, unless you are playing the game locally. 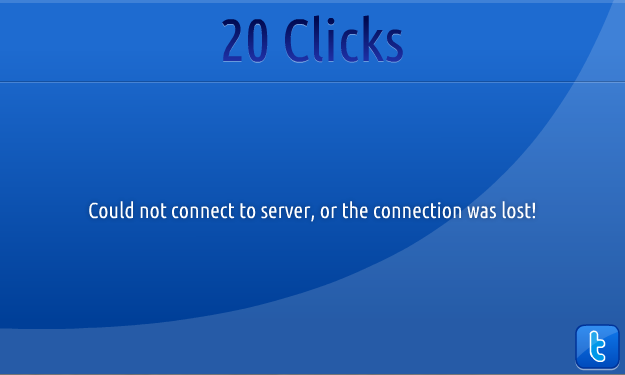 Lines 13 through 20 - The sfs.onConnection handler is called when SmartFoxServer connects or fails to connect to a server. This function in our game basically sets the serverConnected variable to true if we connect successfully, and if we cannot connect to the server, it sets the variable to false and gotoAndStops at the frame, "ConnectionFail". 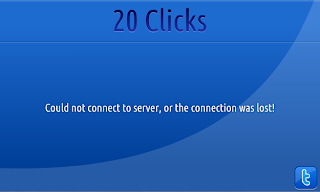 Lines 20 through 24 - The sfs.onConnectionLost event is called when a connected server gets disconnected for any reason, besides logging out. All we do here is set the serverConnected variable to false and gotoAndStop on the "ConnectionFail" frame. Lines 34 through 37 - The sfs.onRoomListUpdate event is called when we request the room list from the server. Since we are not using a custom login extension, the room list is requested automatically. When the room list is updated (populated) here, we join the room in the config.xml file with the attribute of autoJoin. autoJoin will be equal to true, obviously. Once we send the this.autoJoin request, we go ahead and go to the frame that the user has selected (aka, what the gameType variable contains). Line 1 - Sets up the coding to be called when the button is released. 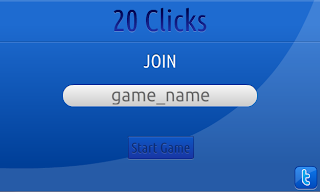 Line 3 - Sets myName variable to equal the username entered into the text box. Line 4 - Sends the SmartFoxServer login command so the user will login to the zone "20CLICKS", with the username entered into the text box, with no password. Line 4 - Closes the if statement. Line 5 - Closes the on (release) handler. Could not connect to the server, or the connection was lost! Now you are done with this frame. No coding is required is this frame. I bet you think the easy part is over now, right? Wrong. You now have to make another frame very similar to this, but with a different frame name and error message. So go ahead and create another frame (this should now be frame number 5) and give it a frame name of "LoginError" (and again, without the quotes). 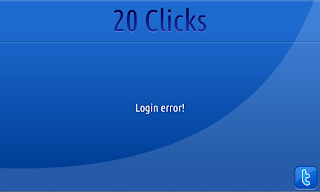 The only thing you should have to write in this frame (static text box using the text tool) is a simple login error message. I kept mine very simple with writing the following error message. Finally, now that we have most of the frames setup, it's time to create the actual frame that our users will be playing the game in. So, go ahead and make a new frame. This frame isn't required to have a name. Just a reminder: This is frame number six! In the picture above, I started a game on 2 different clients, just to show how the system will work. But, before the system works, we need to get to coding it! So, to code this part of the game, we first need to open up this frame's actions panel by going to Window -> Actions, or by simply pressing F9 on your keyboard. Make 2 more frames after all that. Give them the names of "winner" and "loser". In the frames, Put some text on them saying whether or not the user won the game. 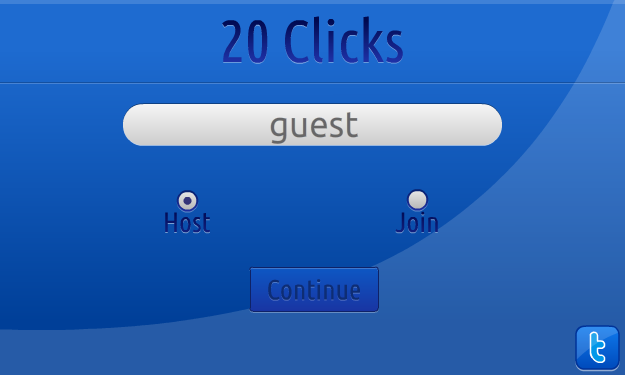 What that coding does is create a new zone, "20CLICKS", with a room named "Main", which is what room you automatically join when you press the continue button after you type a username on the first screen. That's all the coding does. Finally, now that I'm done with this long tutorial, it's time for you all to test out the application in action! To test my game, <LINK HERE>. Also, now this tutorial has been published, I can get to other specific user-requested tutorials. I have cleared all of the comments except for one. The one comment I have not cleared is about a string/raw protocol extension. Basically, just another simple extension example. I really want to do this tutorial next because I haven't done much in the past with string extensions, and this might be a little fun to write a tutorial on it. Plus, it's way faster than the regular XML protocol, and that's really useful if you plan on running a big game with many users online at the same time. it will be really good if u create a tutorial about multiplayer games. Yes, still alive! Haha Working on some soon! ;) Please read the update to the newest post! Specify SFS2X or SFS1X! Can you show us how to make badges? How to make a catalogue so people can buy clothes from it..
How to make an inventory? Please provide full code for the tutorial...I am in urgent need of it..
Could you please add download links? I would rly appreciate it. hello, please, I can upload the link to download the codes? thank you! Hello! I wonder if it is possible to make a system of money and purchase, please answer! R U can to give link to Download?